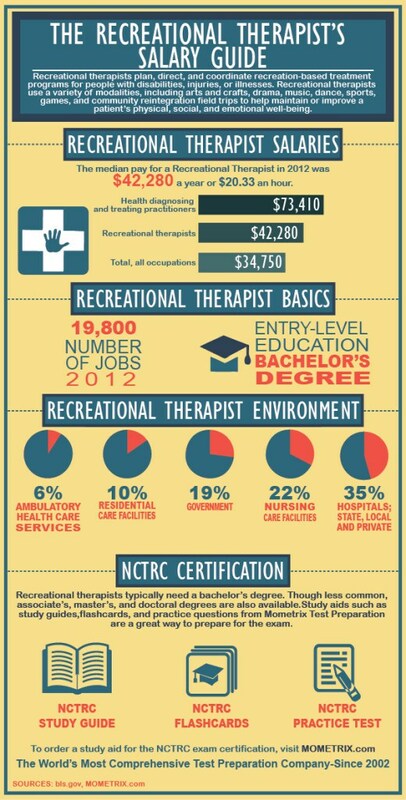 I’m posting the Recreational Therapist’s Salary Guide (info-graphic) below that was put together by Mometrix.com. The Mometrix team has given me written permission to share their graphic. Danny Recommends NCTRC Study Guide!